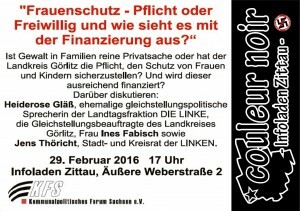 Tags: Frauenschutz - Pflicht oder Freiwillig und wie sieht es mit der Finanzierung aus?, Jens Thöricht, Kommunalpolitische Forum Sachsen e.V. 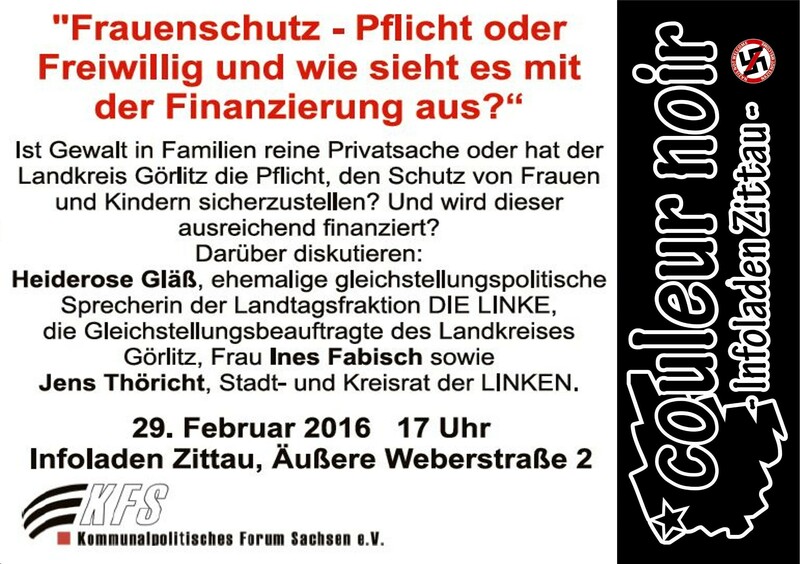 This entry was posted on Dienstag, Januar 19th, 2016 at 16:59	and is filed under Allgemein, Termine. You can follow any responses to this entry through the RSS 2.0 feed. Responses are currently closed, but you can trackback from your own site.